Garden birds need consistent feeding to help them deal with a changeable winter. Temperatures are varying between mild and freezing conditions, however, garden birds need food for fuel regardless of the weather. As we get further into winter, it’s certain that more cold weather will be coming. The garden birds who deal with this best will be those who have established a safe and consistent source of food to rely on when times get tough. 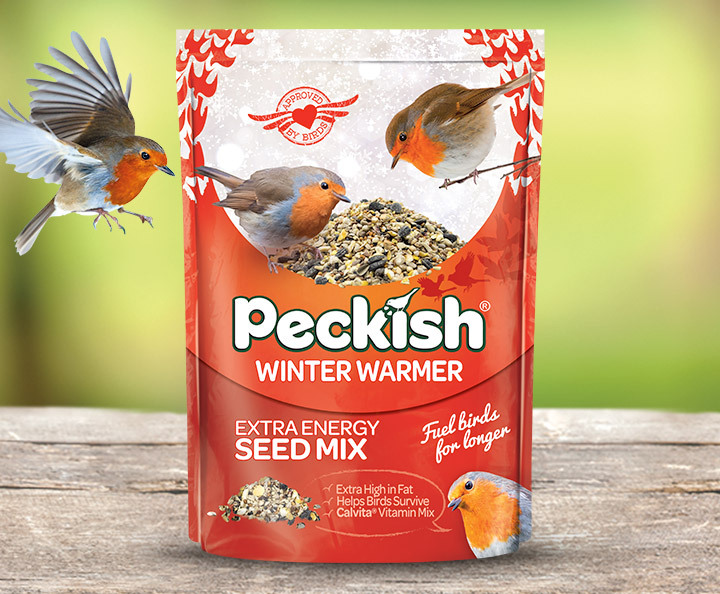 Peckish Winter Warmer Seed Mix provides the maximum amount of calories to keep them toasty this winter. If you find that the food you provide in the morning is gone quickly, consider feeding again in the evening, just before dusk. This will give birds some much needed calories for the cold night ahead. Remember that once you start feeding garden birds, they will come to rely on your help. So it’s vital to keep bird feeders topped up so birds can avoid a wasted visit. If temperatures drop below freezing, provide a fresh supply of water for birds to bathe in and drink from. Some birds are territorial and may keep other birds away from the feeder. By having multiple feeding stations, you increase the chance of everyone getting a meal!